The good thing is, if you’re ready to introduce flexible seating, you most likely have the support of your administrator. But it’s always possible that you’ll run into some snags when a few parents aren’t ready to embrace your new classroom arrangement. The best thing to do to prevent fallout is to be prepared with solid reasoning to present to parents. Use the tips below to help you get parents on board before you even introduce students to their new seating choices. Invite parents and students to try out your classroom seating during back-to-school night. Parents will soon see how excited their children are to be in your classroom. Ask parents to keep an open mind and have a dialogue with their child about how he or she feels about the seating. Use this handout to send to parents before school starts, or hand it out on back-to-school night. 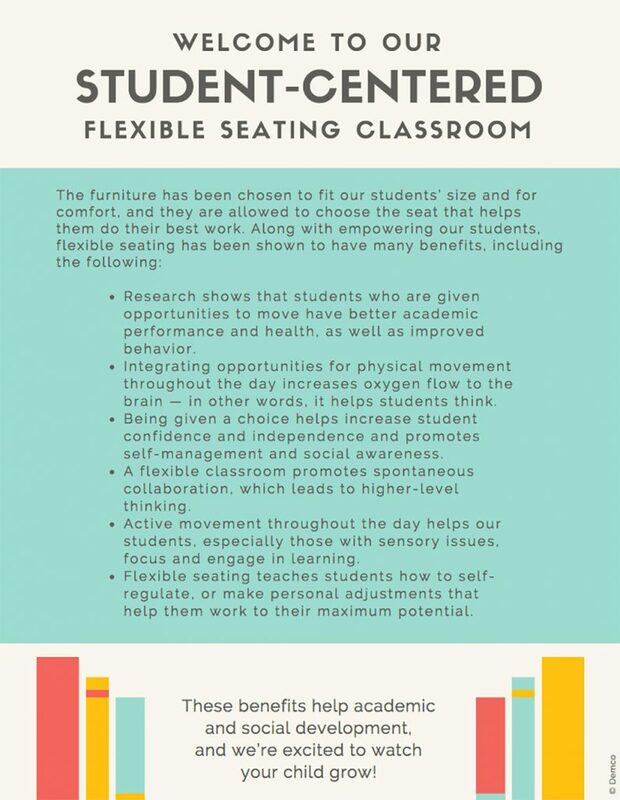 Go over the benefits of a flexible seating classroom, as well as your expectations for students. The key to making a smooth transition is preparing your students for the shift, setting expectations for their behavior, and continually reinforcing those expectations. The following tips will also help you transform your classroom into a flexible seating environment that works for everyone. Focus on the mindset before you focus on the stuff. Start by spending a few weeks letting students sit on the floor, stand, or kneel instead of sitting in traditional seating. Start using your new storage system for students’ supplies with students before you transition their seating. Then they only have to get used to one change at a time. 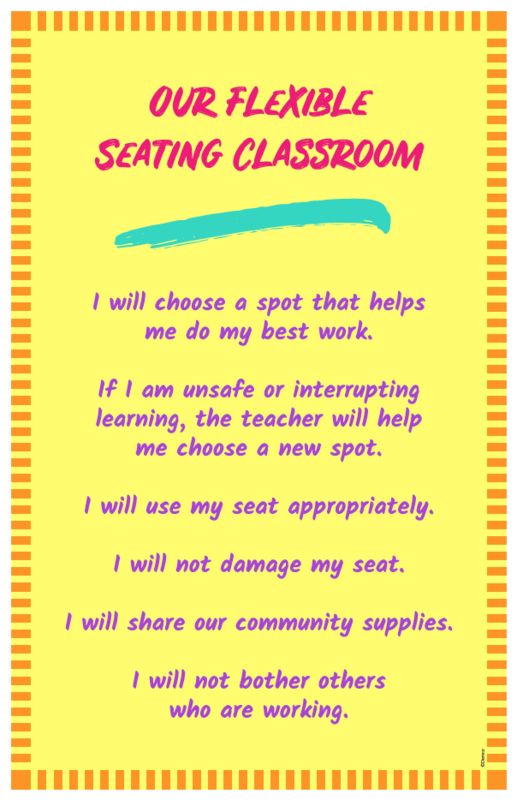 Spend some time during the first few weeks of school having students reflect on each of the seating choices. What worked well for them? What didn’t work well? Which seating choices felt comfortable? Uncomfortable? Where did they feel they did their best work? This can be group dialogue, a writing assignment, an oral presentation, or all three. Model appropriate behavior and choose students to model appropriate behavior for their classmates. This is a great opportunity to choose a child who has had issues with traditional seating to be the star. Work with him or her to model appropriate and inappropriate behavior and role-play situations for the class. Practice, practice, practice. It may take a few weeks for your students to get the hang of choosing seats, transitioning between activities, and figuring out the best workflow during the day. Continue to build their stamina with flexible seating by reinforcing expectations, practicing routines, and praising positive behavior. If you plan to have an open-choice classroom during the day, be sure to spend some time the first few weeks of school assigning seats and having students rotate through them so they can try each one out before you transition to free choice. Retain a few traditional desks for students who need more structure. Consider letting the students help you make the rules for your classroom. If they are able to contribute to the rules, they’ll feel more invested in making sure they’re followed. 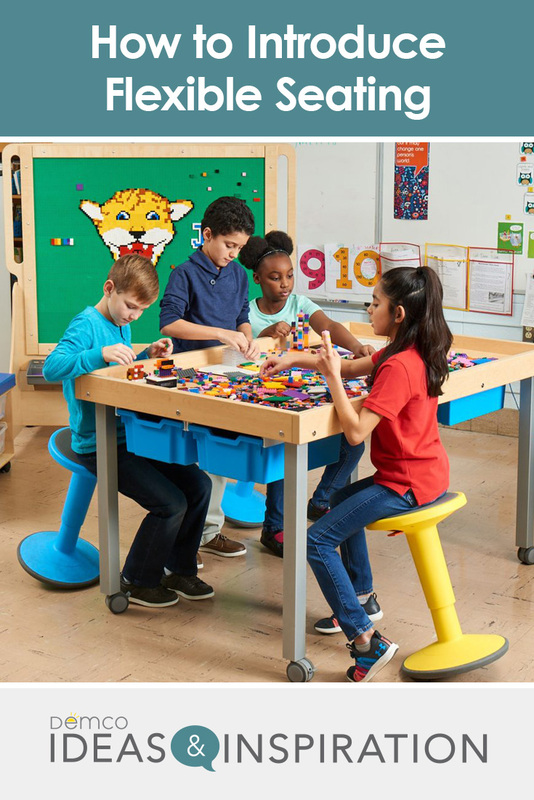 Post the rules on a sign, such as the “Our Flexible Seating Classroom” PDF included here, and display it where students can see it at all times. Have students sign a contract stating that they understand the rules, pledge to follow them, and understand that the flexible seating privilege will be revoked if they do not follow them. The key to getting off to a smooth start with flexible seating arrangements is to be prepared. If you’re prepared to answer parents’ questions and promote the benefits, you’ll be able to handle most parent concerns. And once students see how empowered they feel by the choices you are offering them, your students will be your best advocates. 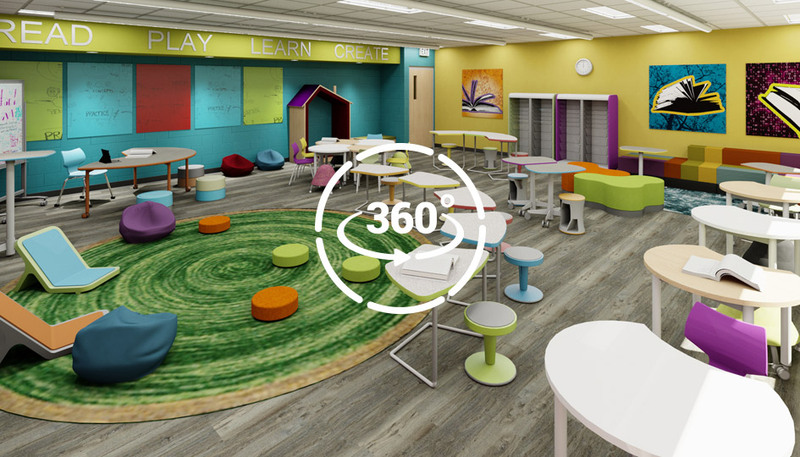 Below you’ll find additional resources for implementing flexible seating in your library or classroom.